In a recent update to the AIB pension fiasco the Bank have come up with a very creative way to kill two birds with one stone. Check below to see what things you can do if you are an AIB employee. One has to wonder who is really benefiting here. STATE-CONTROLLED Allied Irish Banks has agreed to transfer loans with a face value of €1.1 billion earmarked for disposal under its deleveraging programme into the bank’s staff pension fund to plug the deficit in the scheme and fund the bank’s early retirement programme. The transfer will help the bank cover the pension deficit, pay the cost of reducing staff numbers and continue to de-risk the bank of excess assets as it shrinks to wean itself back to a reliance on its own funding rather than on discounted European Central Bank loans. The transaction, agreed between the bank and the pension fund trustees in recent weeks, was executed at a significant discount to the face value of the loans but is thought to be within the estimated losses assumed on asset disposals in last year’s bank stress tests. AIB declined to comment on the transaction, which was approved by the board of the bank. The Department of Finance and the Central Bank have non-voting members on the bank’s deleveraging committee, which approved the transfer. The transfer, which is expected to be completed over the coming months, will bring the bank’s deleveraging to date to €15.5 billion or just over three-quarters of the targeted €20.5 billion of assets to be shed. Most of the deleveraging target will be completed by the end of this year. The AIB defined-benefit pension scheme had a net deficit of €763 million at the end of last year, an increase from €400 million the previous year. The deficit would have increased again under the early retirement scheme under which more than 1,000 staff are leaving the bank. 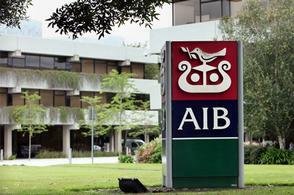 AIB plans to reduce staff numbers by at least 2,500 by 2014. One pension industry source said the transfer was unusual but “a good idea” for the bank and the pension scheme as it helped with deleveraging and covered the deficit in the fund, though it increased the exposure of the pension fund members to Irish assets. The bank, which is 99.8 per cent State-owned following a €21 billion State bailout, has closed its defined-benefit scheme, which offers members a guaranteed pension based on final salary. Employees who were members of the scheme are moving to a defined-contribution scheme which, along with reductions in pay, will save the bank more than €30 million a year. “This move will not only de-risk the overall pension scheme for staff but will also see a reduction in future pension benefit contributions by the bank,” AIB said last month. The bank set aside €211 million to cover the cost of early retirement and voluntary severance schemes in the first half of the year. The bank expects the reduction in staff numbers to generate more than €200 million a year in savings. Under the new so-called Basel III international rules on capital reserves in banking, lenders will have to start setting aside higher levels of capital from 2014 to cover pension deficits. AIB’s transfer of assets into the pension scheme will ease the pressure on the bank’s capital reserves to meet these new rules, which come fully into force at the start of 2019. Staff aged at least 50 years by the end of this year and who are members of AIB’s defined-benefit pension scheme can apply for early retirement. 1.Review the value of my pension and ensure where I have the choice to select funds that fit both my own risk appetite and the market conditions. 2.Take Ownership-When scheme changes to Defined Contribution check my transfer value, funds and assumptions for final pension quotes. This entry was posted in Pensions and tagged Allied Irish Bank, Basel III, cork, Defined benefit pension plan, Department of Finance, European Central Bank, Irish Times, Leverage (finance), Pension, Redundancy, retirement. Bookmark the permalink.